1) Healthy skin Proper hydration can prevent and decrease wrinkles which is cheap and effective way compared to that of the cosmetics and botox injections. 2)For strong bones ,teeth and joints The minimal fluoride content in water will make the bones and teeth strong.It also plays and important role in the joints by increasing the content mineral in synovial fluid and prevents joint disorders like arthritis. 3) Building and toning of muscle Water is needed to transport nutrients to cells and transport waste out of the body. Water helps form the structures of protein and glycogen. If the body is dehydrated the muscles will be deprived of electrolytes and cramp. Since muscles are controlled by nerves, without the proper water and electrolyte balance, muscle strength and control will also be impaired. Dehydration will prevent muscle contraction and reduces the muscle tone. 4)Brain function Hydration is one of the factor to improve the overall cognitive skills like reasoning, memory , attention, language and lead directly to the attainment of information and thus, knowledge.It prevents the shrinkage of the grey matter that can causes premature aging of the brain. 5) Healthier digestive system It improves the digestive process by metabolising the food and keeps the urinary tract healthy and prevents kidney stones and constipation. 6) Regulation of the body fluids As discussed above it regulates the digestion,absorption,circulation,creation of saliva, transportation of nutrients and regulations of body temperature by producing sweat that keeps the body cool. 7) Water helps in control calories For years it is used as and weight loss strategy.It does not have any magical effect on weight loss but can be substituted with high calorie beverages. Food with high water content tends to look larger, its higher volume requires more chewing, and it is absorbed more slowly by the body. Water-rich foods include fruits, vegetables, broth-based soups, oatmeal, and beans. 8) It helps prevents hangover During the consumption of alcohol it interferes with the brain and kidney communication and will remove excess of body fluids due to the diuretic function although dehydration is not main cause of hangover , it can cause symptoms like thirst, fatigue, headache and dry mouth.A good way to reduce hangover is to drink a glass of water between drinks, and to have one big glass of water before going to bed. 9) Drinking water can can knock down headache The headaches like cluster headache,and tension headaches and migraines cam be lessen by sipping water at regular intervals. 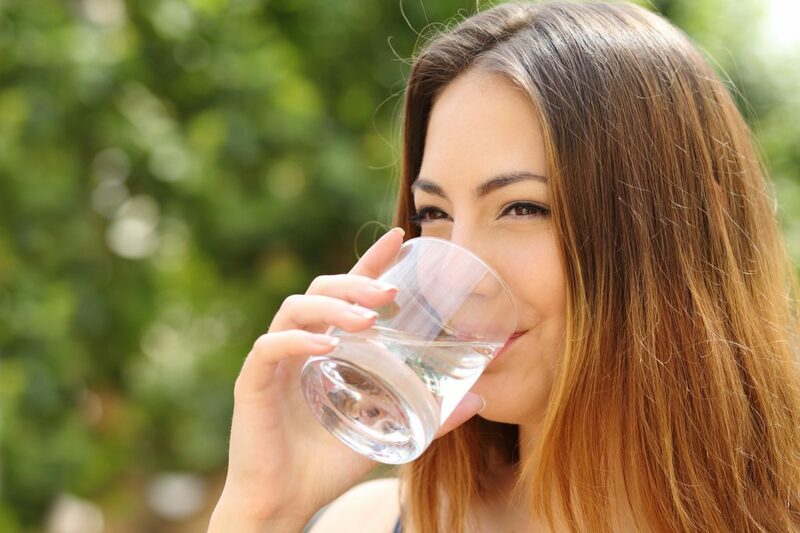 The loss of water during nausea dizziness, vomiting can be compensated by drinking water and can decrease fatigue. Why should you have custard apple?